The mission of Hutcheson Technical & Soil Services is to provide top quality testing and diagnostic reports for the golf course and sports turf market. Our vision is to be recognized as a major contributor to the turf grass industry in technical and soil services. HTSS management and staff are committed to quality assurance in every aspect of our operation. Our laboratory is a full-service sand, soils and geotechnical testing laboratory. We offer our expertise to turf grass professionals including golf course superintendents, architects, design consultants and sports field managers. We look forward to working with you in the near future. 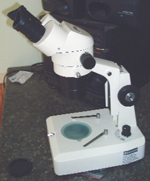 If you would like to speak with someone about your specific soil testing requirements, please contact us at any time.